Whether it’s about setting up a new business or giving an existing one a thorough makeover, what is needed most is a comprehensive business plan. Of course this requires some careful planning as you try to accommodate even the minutest of details. While this can save you from nasty surprises down the road, chalking out a plan in itself can be pretty much daunting. Fortunately, there is an easier way out of it all if you take into account the plethora of free business plan templates currently doing the rounds of the net. The best thing with these, apart from that many of these can be availed of free of cost is that these can help you get started right off the ground even if you are a complete novice at it. Further, there are plenty of choices here to suit one’s requirements, which can range from simple one page sites to those spanning several pages and offering a bouquet of services. Mentioned here are 8 of the best business templates to help you start off with your business right away. What you get here is one of the most comprehensive collections of predesigned template catering to a wide segment of business. Whatever be your business area, you are sure to hit upon a template design that is just right for your needs. From simple wordpress themes to complex ecommerce sites, the templates are arranged in categories as diverse as wordpress dentist sites to church strategic plan templates. Widely acclaimed for their comprehensive business plans, the site also offers a simple business plan template for free which should cater to the requirements of most startups. The site also offer the LivePlan feature which is an online service that helps in creating efficient business plans. 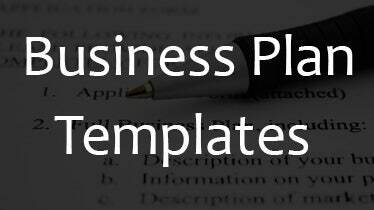 Bplans also has on offer more than 500 samples of business plans covering a wide business segment. The samples are available for free for anyone registered with the site. Microsoft too has on offer a wide variety of business plan templates that may not be the most comprehensive on offer but is always a nice place to start. Also the best thing with the Microsoft Office site is that the templates along with associated resources come free. This is a non-profit business resource platform that offers Word and PDF based business plan template applicable to start ups as well as established businesses. Among the other services that Score has on offer include financial projection templates, sales templates, and financial statement Excel files. There is also an analysis chart which will enable you to have a clear idea of your strengths and weaknesses to help you plan better. Once past these, there will be a Score representative who will assist you with your business planning. The company has a free business plan template downloadable in Word or Zip format. The company that specialises in linking entrepreneurs with venture capitalists and angel investors also offers $75 for posting your business plan for potential investors to view. The site is frequented by more than 100,000 venture capital firms and angel investors, which means a higher probability of not only hitting upon the right business plan but to also have your business financed. The SBA too offers a business plan template that allows you to create your own business plan after having entered a few details. The site has on offer six business plan sections – Executive Summary, Company Description, Market Research, Product/Service Line, Marketing and Sales, and Financial Projections. The site generates a business plan that can be saved as a Word document on your own computer. The site offers enough resources to create your business plan which can be saved in Word format. While the site offers an outline of a business plan, there also is an associated help file containing exhaustive instructions to help arrive at the best business plan. Rocket Lawyer uses what can be termed as the ‘interview’ process to arrive at a business plan best suited to you. Users will be asked to fill out a questionnaire to arrive at the most optimum business plan sample. The plan so devised is also aimed at potential investors and contains relevant information such as whether you plan to take a loan to fund the business or depend on equity investment.